Drawing on a large number of diverse sources, The Impact of China on Global Commodity Prices comprehensively and systematically evidences the trends in the prices of different sets of commodities, analyses the drivers of China’s demand for commodities the factors constraining global supply and in the role which the financialisation of commodities is playing in constraining commodity production. 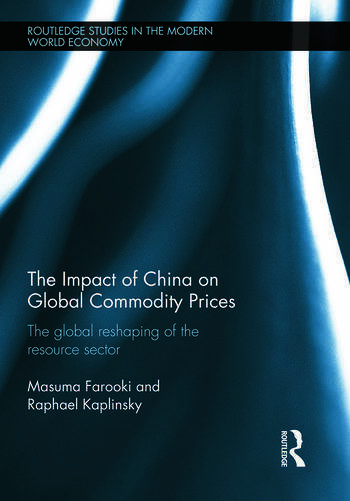 It also documents and the growing role of China as a foreign investor in the commodities sectors. All of these trends are woven together to explore the fabric of strategic choices confronting public and private sector decision-makers. Masuma Farooki is a visiting Research Fellow at the Development Policy and Practice unit at The Open University, UK. Raphael Kaplinsky is Professor of Development Policy and Practise at the Open University, UK.